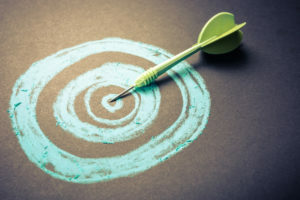 In the modern business world, it’s easier than ever to target specific niche groups and target audiences – and to have a true breakdown of your customer base. But do you know who the target audience should be for your products and/or services? And if you do, have you worked out how to engage with and attract this particular customer niche? Your ideal customers may be individual people, or they may be business buyers. And that target audience will be defined by the industry you’re in, the kinds of products or services you sell and a number of other considerations, all of which tie a certain customer demographic to your business. What age range are they in? – how old will your average customer be, and what does this age demographic tell you about them? What income bracket are they? – how much disposable income or budget does your audience have, and why should they be spending that money on your products? What’s their geographical location? – where in the world are your targets likely to be based, and how are you going to reach them? This is fundamental research to do and will give you some incredibly useful foundational information to inform your business development, sales strategy and overall marketing efficiency. With a more defined profile of your target audience, your next task is to think about how you’re going to present yourself and communicate with them effectively. That means refining your brand and marketing so you use the right language, the right style and utilise the right marketing channels to engage with these people. Do your target customers use social media? And if they do, are they more likely to be a LinkedIn user, with a clear business focus, or a Snapchat user at the more youth-orientated end of the market? The key is to know that potential customer inside out and to refine and change your sales, marketing, and social activity to meet their expectations. The more you understand your customers, the easier it will be to market yourself to the right people. Your aim here is to build a profile of your ‘perfect customer’ and to then evolve and change your presentation to fit that specific individual. The inevitable outcome of this is that you will alienate certain customer demographics, depending on how you present yourself in your shop window (whether that’s online or real world). But that’s all part of targeting a specific niche demographic – Marks & Spencer will never be the place for a hip, cool 19-year old to buy their clothes, but M&S know that they’re a brand of choice for the over-40s who have more disposable income to spend. You may never have considered that your business has a ‘personality’. But the style, tone, design and language of your business do convey a certain brand personality to your target audience. How you present yourself, how you talk and the values you convey all come together to create a brand feeling that’s unique to you – and if customers engage with that brand, you’re setting some stable foundations for increased sales and bigger profits! Think about the values you present – are you aiming to be trusted and caring? Or are you hoping to be seen a cutting-edge and innovative? Consider whether you’re premium or economy – some brands will position themselves as the cheapest alternative. Some will enter the market as a ‘premium brand’ that brings more value to its customers, and charges a premium price for that. Define your brand design and style – will your marketing materials be traditional and classic? Or are you more about colourful imagery and viral videos that will be shared through social media. Looking at the marketing of other similar businesses in your industry sector can be helpful and a good way to benchmark yourself against the competition. You then have a choice to make. Do you adopt similar tactics and promotional campaigns to capture the same target audience? Or do you differentiate your business by coming up with new, innovative ways to target your own core audience? Making these decisions, and doing your research beforehand, is all part and parcel of defining your brand strategy. And when you get it right it can have a meaningful impact on the future success of your organisation. Define your target audience and build up a profile of your ideal customer. Refine and tailor your brand to appeal directly to that audience. With both of these elements in place, you have a far more focused and targeted view of who your customers will be and have the tailored marketing collateral, social media presence, and brand personality to keep your ideal customers coming back for more – and parting with their hard-earned cash.